I use php includes to pull more php into another �file or to create a template where included content contains more php scripts. I use require_once to include MySQL connection code in securely. But, what if the content you want to pull in is on a DIFFERENT SERVER? I had a project where there were two sites�an old and a new. 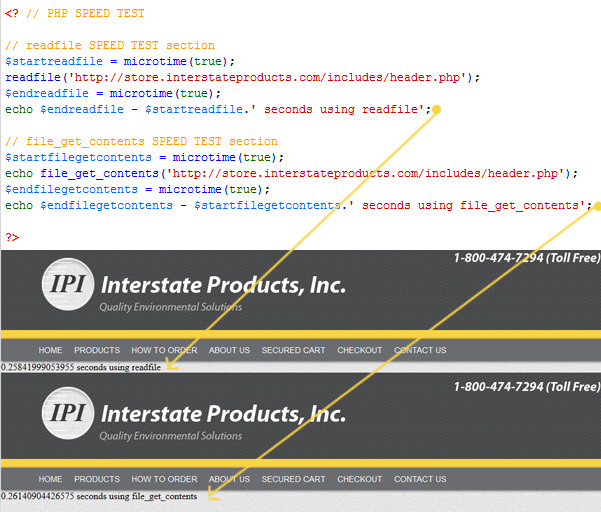 The new site was using a jsp templating structure in NetSuite and the old site was a hardcoded and used html files without any templating structure. At first, I used file_get_contents to pull in content (pieces of the html template that DID NOT CONTAIN php code�just html) from the new site�into the old�.cool! The old site’s file were NOT php� files but .html files�so how did I process php on html pages? There is some debate regarding which is better for speed�file_get_contents or readfile. My speed test showed negligible differences.